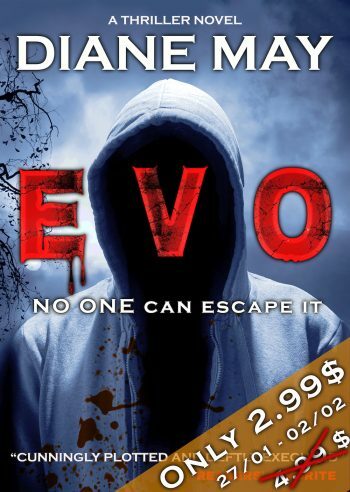 Welcome to the book blitz for EVO, a stand-alone adult thriller by Diane May. See below for information on the book, buy links, an exclusive excerpt, and details on her giveaway. For a limited time, you can pick up the ebook for just $2.99. “Interesting… Well, welcome on board, Dr. Jones,” he said with an emphasis on the words Dr. Jones. “Hm… It’s strange,” she muttered to herself.